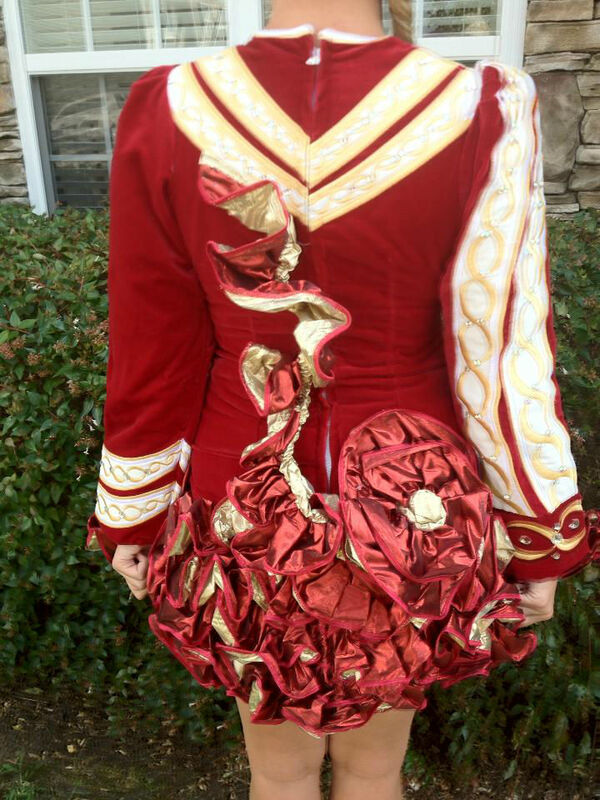 I am the original owner of this Cherry Red Michelle Lewis worn for about a year total in 2011 and 2012. Dress has been bagged ever since and is stored on a flat surface in a smoke-free home. Dress has light makeup/tan marks on inside of skirt and bodice, and some damage to crystals around neckline, including missing crystals, that will need some TLC. 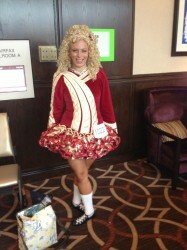 Under-skirt is red and white. 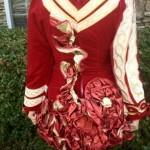 Dress would be great for a novice/prizewinner dancer or first solo costume for older dancer. Includes bloomers. Bottom tier of skirt can be folded and tacked in to make the dress shorter and allow room for growth in the future. Some let out/down room – contact for photos. Buyer to pay shipping from Raleigh, NC, USA. Measurements are approximate. Asking Price: $US300. Shipping costs are not included in the asking price. Sale is final.